A Special congratulations to J.Pascua the winner of the Free Roundtrip Ticket to Manila via Philippine Airlines in our Forex Cargo App Promo. Winners shall be contacted on how to claim their prizes. 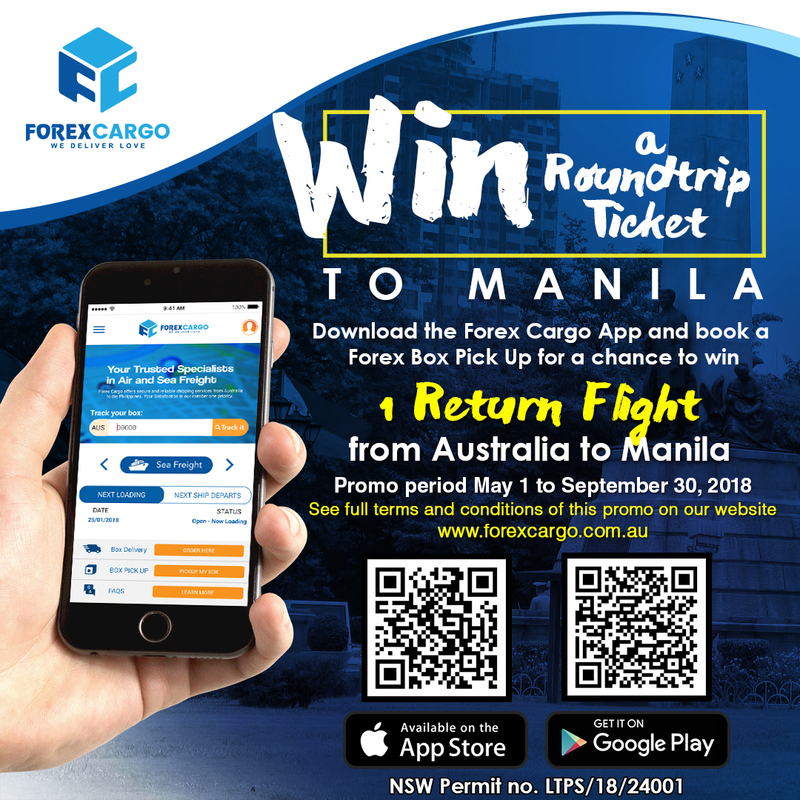 Download the Forex Cargo App Today on your Android or Apple Device and for the Easiest way to Send Balikbayan Cargo Box to the Philippines with Forex Cargo.